Thank you for choosing Camp Trucking to be your premier baggage carrier from Home, to Camp, & Back. This site will allow you to enroll for door-to door baggage service to your child's camp. 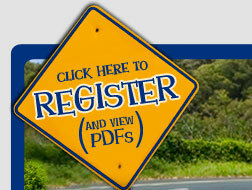 Please choose to both register and pay online or print a PDF and mail in your form and check. Please read the PDF as it contains important information about our service to your camp. Once we have received your completed application and payment, (via online or US mail), we will mail you a confirmation letter with your baggage tags around June 1st. You will also receive an email with your exact date of pick-up. Our house-to-house pick-ups generally take place in mid-June and mid-July depending on when your child is attending camp. If contracted, Camp Trucking will deliver the bags back to your house approximately 2-4 days after camp ends for campers living in the Northeast (slightly longer for other areas). You will receive an email in July with the exact dates of delivery back to your house. If your child is attending 2nd session, your date letter will be mailed and/or emailed in mid-June.